Bone Broth Benefits: Is the Hype Real? Last week in the gym a few different clients started talking to me about bone broth. I have to admit, there wasn’t much I could say positive or negative about any potential Bone Broth Benefits. Growing up, my grandma and mom used to always make chicken soup when we got sick. They said it was good for a cold so I always accepted that as truth. Other than that, I didn’t know too much about this food and how it would benefit your health. Since this topic came up a few different times in such a short period and I had no information floating around in my head, I thought it was a sign that I needed to do some research on Bone Broth Benefits and write an article about them. As you may know if you’ve read any of my previous articles, I like to see if there is any science backing any of the claims. With bone broth, I wasn’t sure what the popular claims were. I guess I wasn’t even sure what exactly bone broth even was so that seems like a good place to begin. Broth is made with meat but can contain some bones and veggies. It is usually simmered for 45 minutes to 2 hours and is a full of protein. The liquid is thin and can be used as a soup or a base for a soup. Stock is made with bones but can have some meat and veggies. It is cooked for a moderate amount of time, usually 3-6 hours. Cooking for that long extracts some collagen from the bones and connective tissues. The collagen makes a stock thicker than a broth. Bone Broth is more similar to a stock than a broth. Bone broth is made with bones and can also include some meat. Bone broth is cooked for a long time, usually 24-48 hours. Not only does the long cooking extract the collagen but it also extracts minerals and nutrients. Bone broth is a good source of Vitamin C and B6 and contains trace elements of many other vitamins and minerals. Most of the bone broth benefits come from the collagen and gelatin that it provides. (Gelatin is the cooked version of collagen.) Collagen is the body’s main structural protein and makes up about 25-35% of the body’s entire protein content. The collagen/gelatin in bone broth is good for many parts of your body. These include your joints, skin, nails and hair. Collagen may help to treat bone and joint problems as well as joint inflammation. Gelatin was also shown to reduce joint pain in athletes which may help you get through your workouts better. In addition to helping joints, collagen intake also helps to reduce wrinkles and ultraviolet skin damage. This writer experienced anti-aging benefits from packets of unflavored gelatin. Bone broth is also contains the amino sugar, glucosamine, which is a popular supplement for joint health. Although it may help to treat joint pain and osteoarthritis and may aid in injury rehab, I was not able to find how much of it is actually in bone broth. It seems like common sense right? If you eat something made of bones, you should get stronger bones from it. Many people believe that bone broth is high in calcium but there is actually very little calcium in bone broth. The benefits to your bones actually come from the collagen in the broth. About 20-40% of your bones are made up of collagen and it provides the frame that your bones are built. Calcium phosphate gives the bones their strength but without collagen bones will become weak and brittle. Of course, stronger bones are good for your strength which will increase the results you get from the gym. If you’re like me, you’ve heard many times that chicken soup helps you get better when you are sick. Well there is some actual scientific data that suggest chicken soup may help to prevent colds. It does this by reducing inflammation. “Leaky gut” is where your food particles pass through your digestive tract are absorbed directly into your blood. This can lead to symptoms that include digestion issues, autoimmune disease and food sensitivities. Gelatin is great for helping to reverse a “leaky gut.” It contains the amino acids proline and glycine which can help to repair your intestinal walls. Gelatin can also help the mucosal layer in the gut. Gelatin may also help to balance gut hormones in obese people. Gelatin has an interesting amino acid balance. It is high in the amino acids glycine, proline, arginine and glutamine and low in tyrosine and histidine, with no tryptophan. Glycine, proline and arginine are great for reducing inflammation. Arginine, in particular, is beneficial in treating whole body inflammation. It is also good for reducing brain inflammation during a heat stroke. Arginine also helps to increase nitric oxide (NO) production which helps to decrease oxygen use and help endurance. A long term study on arginine observed an increase in lean mass and a decrease in fat mass in subjects. Glycine is an amino acid that is also a brain neurotransmitter. It can improve sleep quality as well as well as daytime cognition and fatigue. It may also help to reduce the effects of schizophrenia. Glycine (as well as arginine and methionine) is required to produce creatine in the body, which has been shown to build strength and muscle. Glutamine is needed for building muscle and to remove waste products like ammonia. 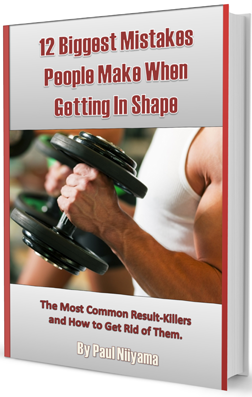 It is a popular supplement because the body may not be able to make enough when there is a lot of stress placed on it…like when you go through a hard workout. It may also help to prevent leaky gut. The best and least expensive way to get the maximum bone broth benefits is to make it yourself. You can use bones from chicken, beef, fish or whatever other animal you want. You also want bones from animals without a lot of chemicals, antibiotics or preservatives. Make sure to cook the bones long enough to extract the gelatin. You should also add something acidic like vinegar to extract as many nutrients as possible. Here are a few bone broth recipes you may want to try. If making bone broth isn’t for you, you can always try some store bought bone broth. Amazon has some Beef Bone Broth that has some good reviews and says it’s cooked for 24 hours but I haven’t tried it. You can also get some of the benefits of gelatin with Unflavored Gelatin . (Yup… it’s the same stuff they use to make jello.) You can also try Collagen Hydrolysate which has the same amino acids as gelatin, but is more processed and is slightly different chemically. You can use bone broth in a few different ways; you can drink it by itself, use it as a base for a soup or make a sauce with it. There are many other ways to use it and you’re only limited by your imagination. Regardless of how you get bone broth, it is a great addition to any muscle building or fat loss diet. Let me know what you think, I’d love to hear from you in the comments below or on social media. I’m on Facebook, Twitter and YouTube.